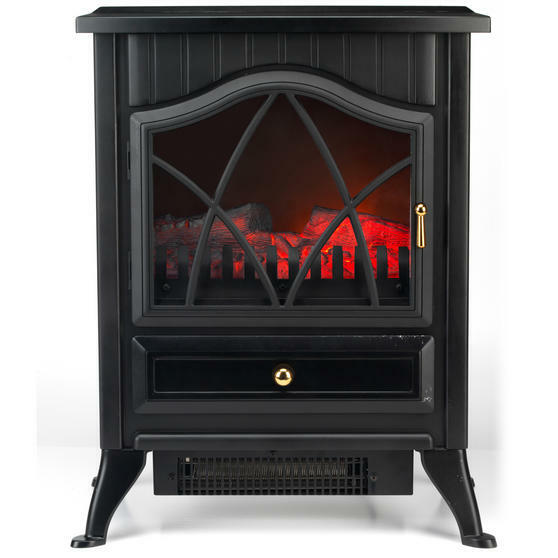 Not only will it keep you warm in winter, this beautiful free standing panoramic electric stove with glass windows will look lovely all year round. With a black cast iron effect finish it has a charming design and will match almost any decor, while its compact size ensures it will not be too obtrusive in the room. 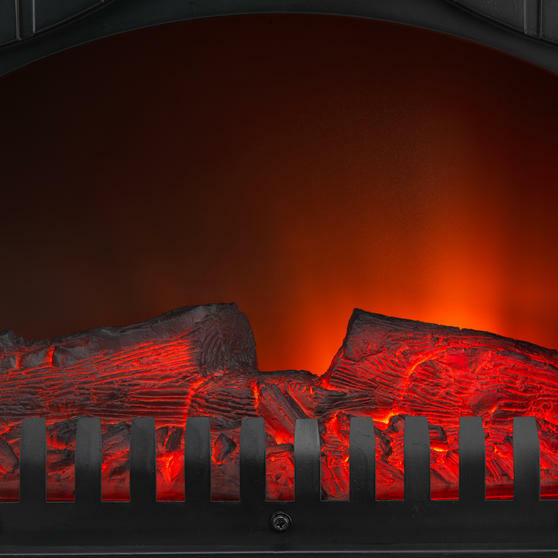 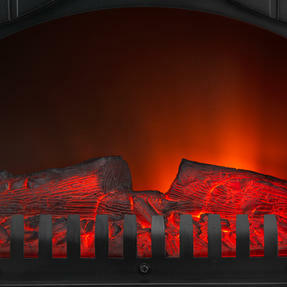 The glass windows give a beautiful view of the realistic LED flame effect, which gives homes a lovely cosy feel without the hassle of having to maintain a real fire. This Beldray free standing electric stove has an LED flame effect, so it provides you with the cosy feel of a fire without the hassle. 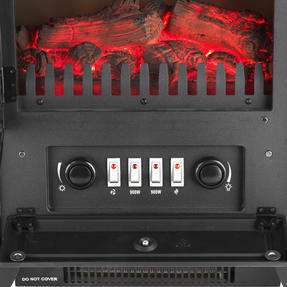 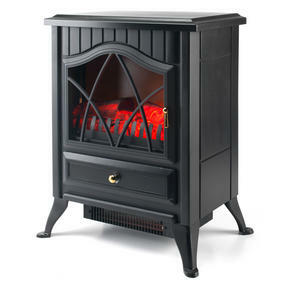 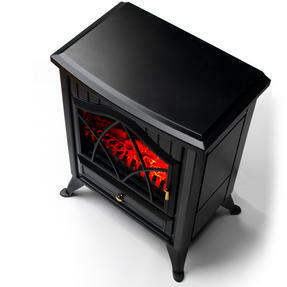 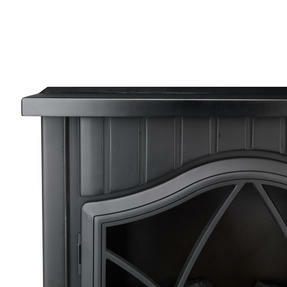 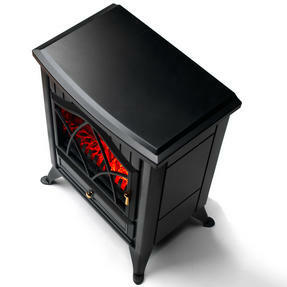 Very simple to use and control, the stove has an on/off switch and both the temperature and brightness can be adjusted. 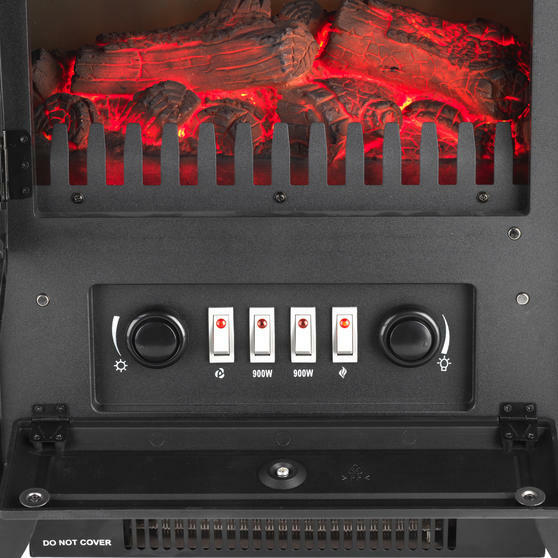 With 1800 W power the stove can quickly heat a room and in the summer the fires glow can be used independently of the heat. 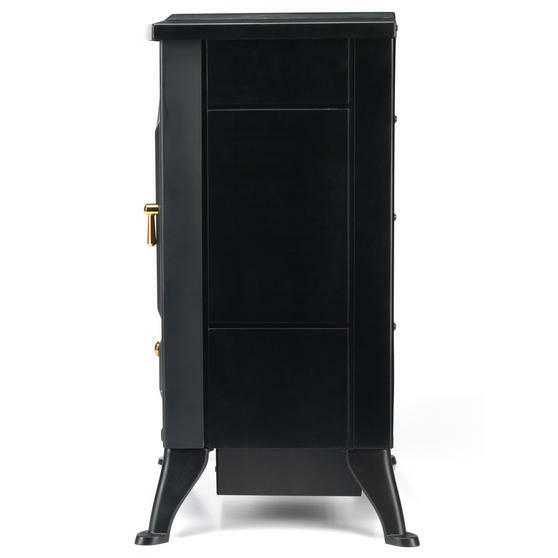 Compact and lightweight, it fits nicely in most rooms without being bulky so you have the option of tucking it into a corner. The black cast iron effect finish looks stylish and charming anywhere, this stove makes for a great focal point in any living area.